Takeshima Budogu was founded in 1954. They have their own shop in Kawasaki and Sagamihara, Kanagawa prefecture in Japan. Though they are a retailer, they have own products named “BUKOTU”. It’s popular in Japan because of its unique design. What is the characteristic of BUKOTU? Why they developed it? -Takeshima Budogu founded in Kagoshima, right? Shoji:Yes. My grandfather was Kendo bogu craftsman. Then, my father took over the business. When my grandfather died, my father moved to Kanagawa. 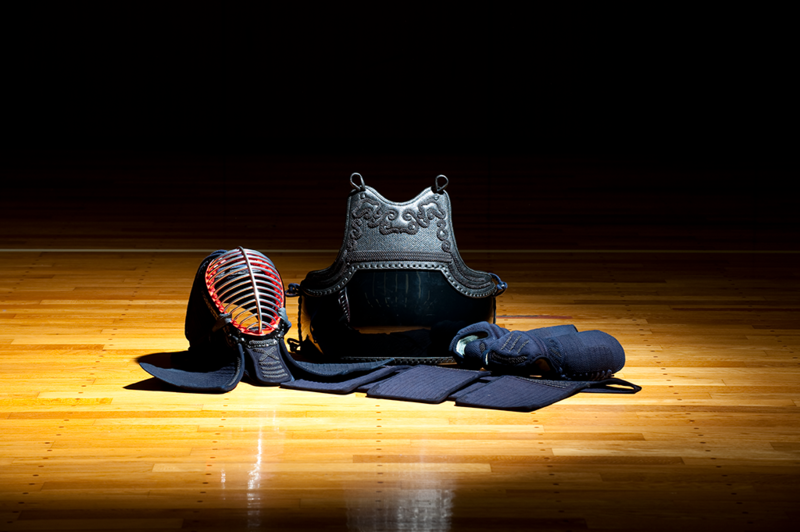 Originally, my father just focused on repair works but after moving to Kanagawa, we started to sell Kendo equipment. 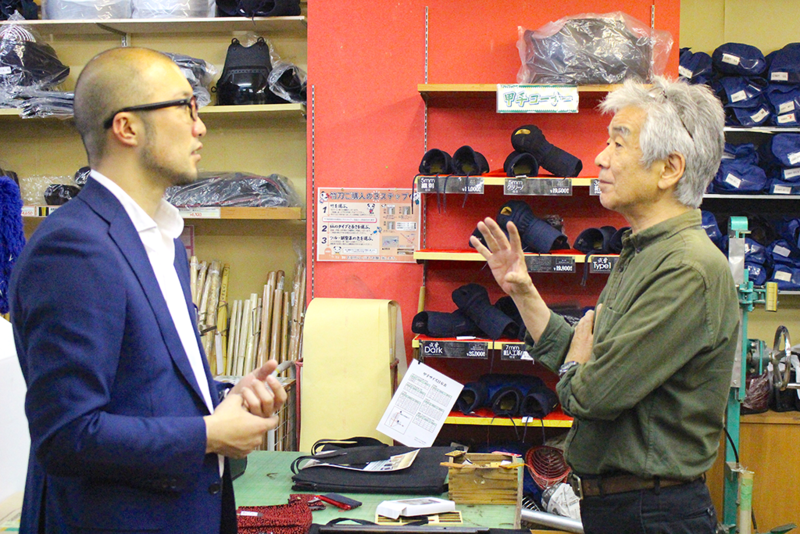 -Did your grandfather manage Kendo bogu factory? 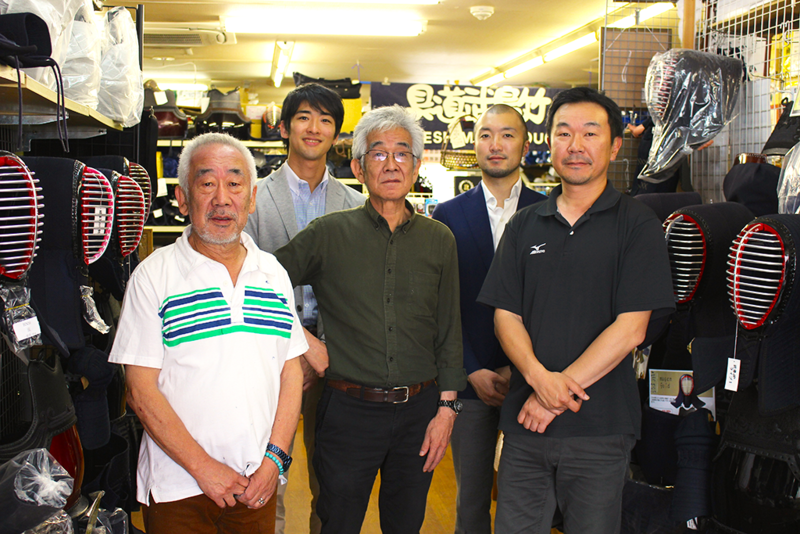 Shoji:My grandfather and his senior stablemate founded big kendo bogu factory in Kyushu. -Why did you develop BUKOTU series? President Takeshima: When I went to kendo factory in China, I talked with the president of factory and the idea has came up. It was like pitched Men. Make the fabric soft and thick by making space. 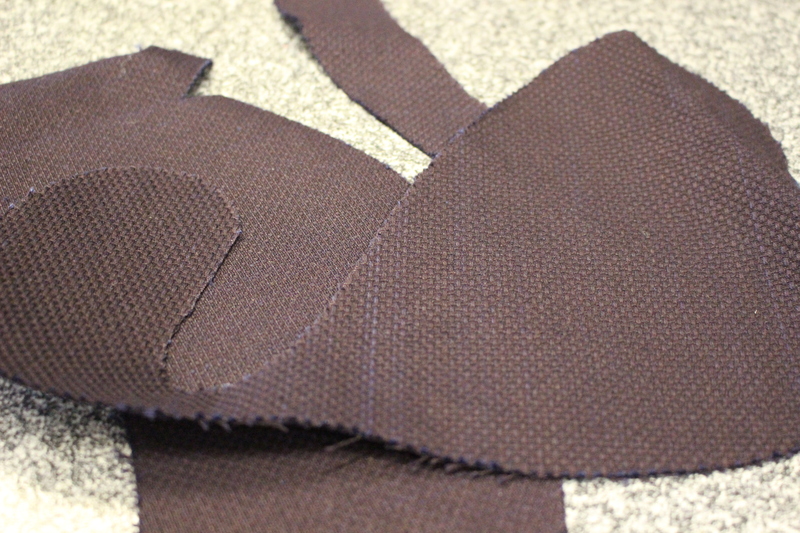 Simply stitching in 3mm, it is thin and hard, right? I thought that it would be thick and soft as we opened the space. At that time, I think that there was no concept like pitch but I think it is the same idea as pitch. - You didn’t intend go to China to develop a new product? President Takeshima: It is factory inspection rather than new product development. How was that factory, What kind of people are there , what kind of things they were doing? They also wanted to invite us. - Nowadays there is a lot of pitch stitching Bogu but Wasn’t it an innovative product at that time? President Takeshima:Yes.But I wondered whether I should made it or not about half a year. Shoji: Design. I wonder if such a rugged design can be sold. I thought there were only equivalent ones so far. 3mm is 3 mm, 5mm is 5 mm. I wondered such design would be accepted by Kendo people. - Why did you put on naming as BUKOTU? Shoji: Our president named “BUKOTU” inspired by the appearance of ugly as a rug. - It is a naming that seems to be loved by professionals. Shoji: I was relieved that you felt like that. - What else bothered you before starting to sell it? Shoji: I gave the national kendo athletes about ten as samples because sometimes high grade dan holders only use hand stitch bogu. 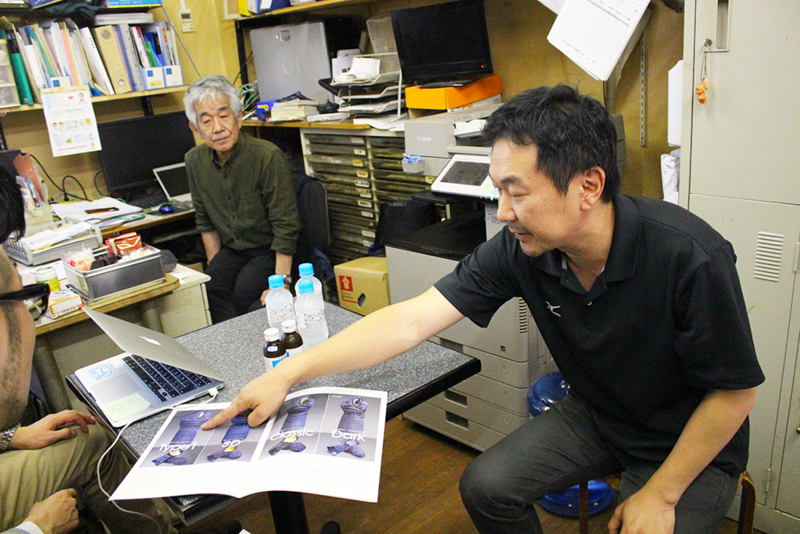 Shoji: People who want to use something different gave us very good feedbacks. Besides, we came to know that it is not painful by monitor. Rug surface absorbs shock. -Actually, I use BUKOTU and it’s not painful. Shoji: Making soft and thicker is important. Compared with other manufacturers that are 3 mm thin and not pitch, shock absorption is good. - Is the material thicker? 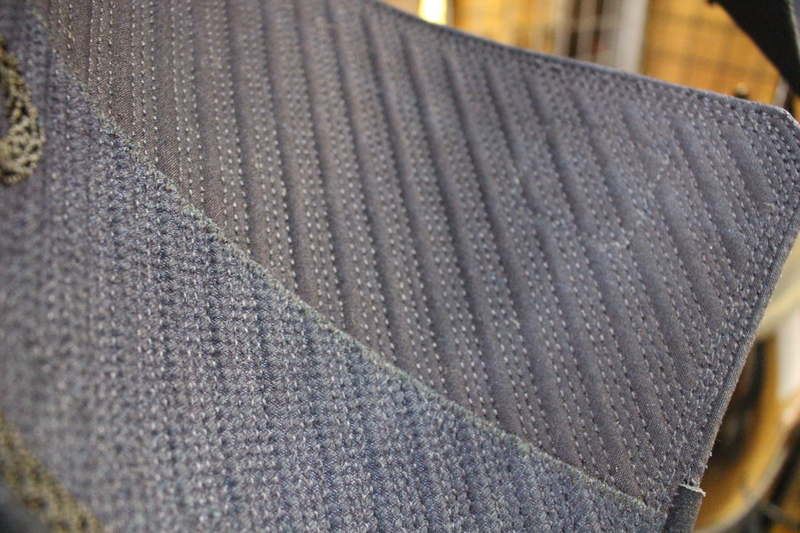 Shoji: We are not making extra thick, because the part that pierces the stitching space does not get narrowed down, so it will become thicker as a result. - Have you tried patterns in addition to 3 mm and 6 mm pitch width? Shoji: 3 mm and 6 mm is the limit pitch. If we spread it, the fabric will be broken. - Have you tried patterns like 4 mm and 8 mm for the pitch width? Shoji: It’s not cool, I think. Sharpness is an essential. Design is very important to us. Which is much more important for BUKOTU customers, design or function? Shoji: Both. The fact that I heard from my mother who was the partner of the founder said that the form do not change. If it were to change it would be only material. Shoji: I said before, considering about half a year.Because its Rugged design.We were making men futon, then customers want to have kote. Shoji: Yes. We start from men, then making kote. Kote futon is easy, actually. But kote kashira is difficult. It was really hard time. -You can take advantage of men futon’s essence. Shoji: We focused on grip. If the kote kashira part is not unique, it is not fun so I thought and tried many times. Since the form of the hand grip completely different depending on each persons so I tried to change the material. Even though I think that this is going to be very good, the opinions of customers are pros and cons. So, I changed the mold and the material to make several kinds. - Those have different functional? Shoji: Yes. The needs of customer are defferent from each person. One customer wants uniqe Kote, the other one wants classic one. Making kote is very hard for us. I consider until now. President Takeshima: There’s no perfect for kote. It’s depend on people. Even if we think that is good, people are different. -What’s this mold? Kote mold? Shoji: This is bad when someone copied, so please camouflage. After all, I wanted to stick to it, so I had to make a mold. -Did you make this mold by yourself? Shoji: Yes, it was first type. Did you think it’s impossible making an ideal kote, if you make mold by yourself? Shoji: When I ask kote craft man, they said “stop it!”. Because it’s really tough to make it. I think it’s special form of grip. Shoji: Our kote is making the hand grip is right place. If we use BUKOTU kote, naturally grip right place. This entry was posted in Takeshima Budogu on 2017年12月26日 by BUSHIZO.